We start our Little Dragons as early as 3 years old. This age-specific program emphasizes life skills such as balance, coordination, self-control, focus, discipline, memory, fitness, and teamwork. Working on these skills early helps in preparing your preschooler for success as they enter school and continue in the martial arts programs. We believe the time between the ages of 3 and 6 are the most important years of a child’s developement. Our program will enhance positive developement in a fun and motivating way. FOCUS – This skill will help your child’s aim, listening skills, and reaction skills. They will excel faster in any physical activity. Your child will also become a better listener and a more focused student in school. TEAMWORK – Good teamwork skills is necessary for any young child to develop. The more your child is willing to work with others, the more he or she will accomplish. Your child will develop good character , which will help him or her make new friends and become a better leader in life. CONTROL – Having control means making good decisions. Whether your child is handling a pet or handling a problem, he or she will learn to make the right decisions. Control helps build confidence. BALANCE – This skill is crucial to develop at an early age. Your child is beginning to participate in many physical activities that are challenging like riding a bicycle. Your child will develop good balance and a better posture. MEMORY – Developing a good memory is exercise for your child’s brain. The sooner your child exercises, the smarter he or she will become. Our drills are constantly helping your child think and make smart decisions. DISCIPLINE – Our instructors use the Little Dragon drills to help create the vision that discipline is fun and rewarding. Your child will take pride in doing the right thing. Your child will also follow directions better. COORDINATION – Your child will learn left from right. They will become better participants in sports and activities. The better coordination your child has, the fewer injuries your child will sustain. FITNESS – It is important for children to understand the importance of being healthy and physically fit. In our Little Dragons classes, we make learning fun and educational. Our goal is to help your preschooler be the best they can be at everything they put their minds to. Our motto is “Little Dragons today, Leaders tomorrow”. 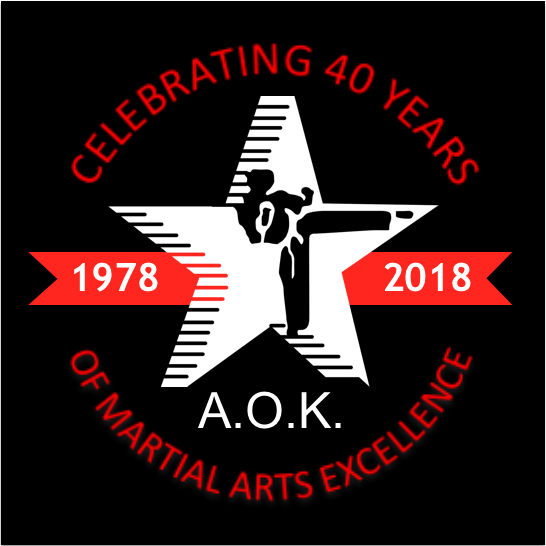 Our Children’s and Family Martial Arts program combines traditional martial arts training with character development and state of the art teaching methods. Not only do our children learn self-defense, they also develop positive feelings about themselves and others. There are many concerns with how our children are growing up in today’s world. The pressures on our youth today are very different from when we were growing up. Children don’t only have to worry about getting good grades and behaving, they have the constant battle of avoiding drugs, gangs, violence, bullying, and peer pressure. 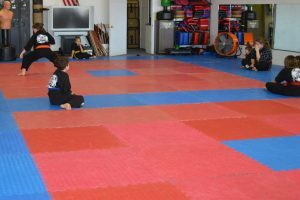 At Abilene Mixed Martial Arts, we realize that in order to give a child a head start in life, they must possess certain skills to cope with today’s challenges. Although the need for knowing self-defense is both mentally and physically important, we cannot ignore the life skills and mental benefits that we must teach our children. Not just for children, this is a family program too! Family programs develop team spirit. Our Children & Family Martial Arts Program is designed to develop and strengthen the unity of the family. When individuals work together as a team, their individual talents will naturally improve. This is the class where parents and children learn together. There’s no need to spend two or three hours at the school waiting for everyone to take their age appropriate class. This class is designed for parent and children who want to take class at the same time. The curriculum is the same in all other age divided classes. There will be some time spent as a whole, but there are times where the class is divided into groups by age or knowledge to work on separate needs. SELF CONFIDENCE – We all know when you look good, you feel good. Add to this feeling of being in shape, the knowledge that you can defend yourself if you ever had to. MARTIAL ARTS IS GREAT FOR CHILDREN – A psychological study found that children in martial arts have an increased sense of responsibility , a decreased willingness to take foolish risks, and a higher sense of self-esteem. REWARDS – Our reward system improves childrens’ self-esteem. The belt system is key to building esteem. When kids earn their belts it gives them a great sense of accomplishment that really improves the way they feel about themselves. DISCIPLINE – We have a trained staff of patient instructors who love to work with children, but are also very clear about limits. We enforce good rules of behavior in class, and we expect the same kind of behavior at home and in school. OUR ACTIVITIES CHANNEL AGGRESSION – Many doctors have prescribed our school because of the positive outlet it gives the kids for all their energy and aggression. SELF DEFENSE SKILLS – Our program teaches practical, proven self-defense methods. We also teach the kids that the moves they learn in class will work, and to not go home and try them on family members or friends. We teach self defense, not how to bully. FAT LOSS – Rated number one fat burner, with over 800 calories burned in a 1-hour class! TONING – You’ll get tight buns, toned legs, flat stomach, and a strong upper body. STRESS RELIEF – Our clients tell us this is one of the top reasons they can’t get enough of class! FLEXIBILITY – A major benefit of increased flexibility is better blood circulation, and a more relaxed overall lifestyle. Does Your Child Struggle with Learning Difficulties or ADHD? Learn more about how martial arts can improve focus, self-esteem and self-control here. Our Teen & Adult Martial Arts program is designed to teach our students a high level of self-defense with many other benefits. Our students discover that martial arts is more than just punches and kicks! Our program will help you stay in shape. You will gain flexibility through our stretching techniques which will decrease your chances of injury in sports and everyday life. You will build strength and tone your body with our dynamic, isometric, and repetitive exercises. You will gain confidence and self-esteem by improving your physical fitness, body composition, skill level, and self-defense skills. You will enjoy the workout as well as the friendships that come along with exercising and training with people that have similar goals. People that train together and support one another end up building friendships that last a lifetime. Martial arts is like an exercise program with a bonus! You learn to defend yourself while you get in shape. Our adult students really appreciate the difference between martial arts training and standard exercise programs. Martial arts classes are well known for their stress relieving benefits. The emphasis on mind-body training goes far beyond the benefits of standard health club exercise programs. The confidence building part of our program is what students appreciate most. Nothing can take the place of the security in knowing that you can defend yourself. At our school, everything we teach is reality based. Our instructors work very hard to insure that our students learn to defend themselves with practical self-defense techniques. Our program is a lot of fun! The reason our program is so successful is because we make the classes fun and exciting. We learned a long time ago that when our students are having fun, they learn much faster. We also welcome everyone in our classes – no matter the age, size, gender, handicap – we want everyone to participate and enjoy themselves!